At Atlas Door Systems, we have been taking pride in our work, products, and customer service for over 65 years. Over the years, we’ve built a loyal clientele that have helped us shape our expertise in the garage door industry. Our success is also partly due to our network of suppliers, and this is why we only carry the best garage door brand; Garaga! Whether your project is residential, commercial, industrial or agricultural, Garaga’s steel or aluminum doors will surely meet your needs. Take a look at our image gallery to view the multiple styles and colors available, and let us know which one catches your eye! Our team of experts is always available to guide you in the process, and we would be happy to answer any questions you have, or provide you with a free quotation for your project. Thank you for your trust, and we look forward to building another lasting relationship. Your garage door opener is an important part of your project. It is responsible for safely lifting and lowering your garage door. In order to give you the safest and most reliable system possible, we carry LiftMaster, the leading brand of professionally installed garage door opener systems and access solutions. LiftMaster openers are solely built with high performance parts, and are engineered to be robust and safe. Amongst the multiple models offered, there is a match for any type of project, no matter the size and weight of your door. You can find out more about the features of our garage door openers in the door opener section. Give us a call today and our team of experts will gladly help you make your decision, and advise you on which model best suits your garage door. Our priority is to clearly understand your needs, and assure that you get quick and reliable service when needed. 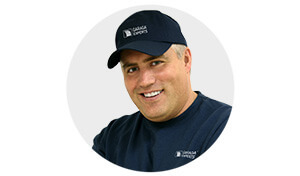 Our repair team can be on site rapidly and fix any brand of garage door or garage door opener. At Atlas Door Systems, we value honesty. When installing or repairing your garage door, we do more than just quality work; we also assure you that you will get the services you need, and we will never sell you unnecessary products. That’s our promise. Our office is located in Enfield CT, but we also service all surrounding as New Canaan, Fairfield, Greater Hartford, Springfield including Agawam, Westfield, Simsbury and Suffield. Come visit us during our business hours, we would love to hear about your project! Massachusetts: Springfield, Chicopee, Westfield, Holyoke, Agawam, West Springfield, Ludlow, Longmeadow, East Longmeadow, Wilbraham, Hampden, Amherst, Belchertown, Chesterfield, Cummington, Easthampton, Granby, Hadley, Hatfield, Northampton, Leeds, Northampton, South Hadley, Ware Westhampton.